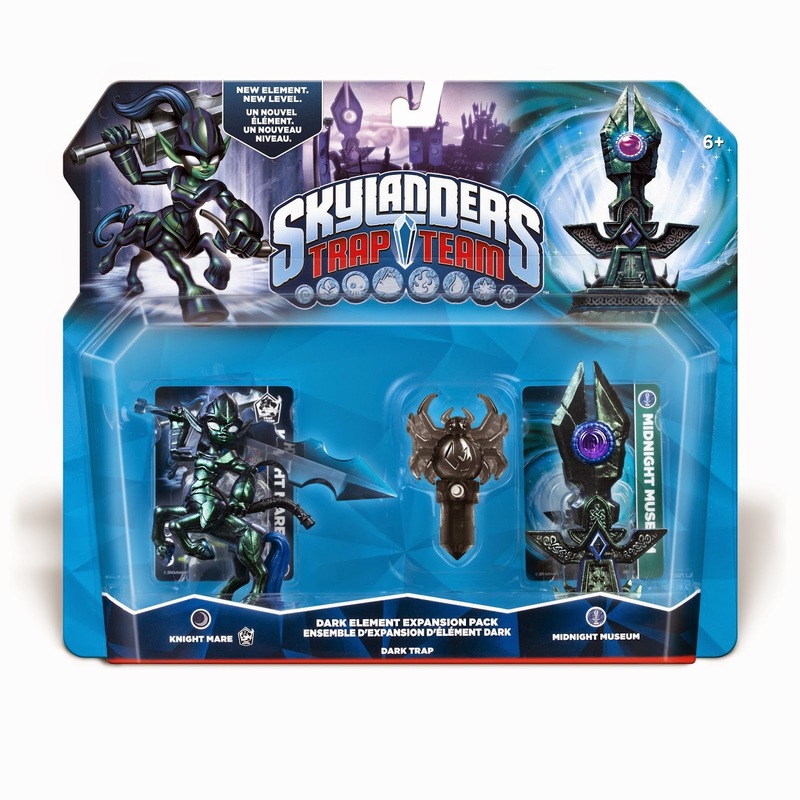 The popular Skylanders series has made a variety of changes over the years but those changes have largely stuck to the series 8 core elements. Before the release of Trap Team, rumors began to spread that the latest entry would introduce some new elements. Fans got even more curious as they played through the game and saw mysterious question mark doors which seemed to have no way to access them. It turns out that Activision managed to keep things quiet (an impressive feat with the Internet) until the official reveal of two brand new elements, Light and Dark. The new elements feature a set of new Trap Masters, Traps, Core Characters, and brand new levels. Essentially, the new elements and their corresponding figures will act as a major DLC update to the game in physical form. These rather large DLC packs will be sold as "Dark/Light Element Expansion Packs" and will include a Trap Master, Trap and New Game Level. The new traps also mean a group of new bosses to capture which will be featured in the new levels. And lastly, here are the new core characters. They are both dragons and they are named Spotlight and Blackout respectively. Each expansion set will retail for $29.99 and are set to be released before Christmas (12/21/14). 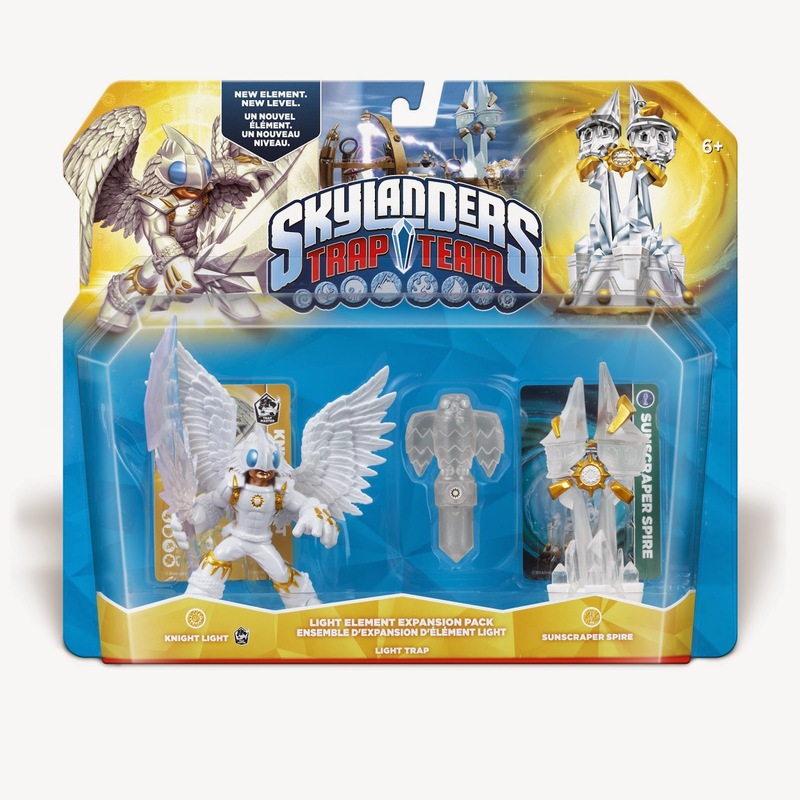 Sadly, rumors are pointing to possible retail exclusivity to Toys R Us but I doubt this will remain in place considering how important these are to the Trap Team game. 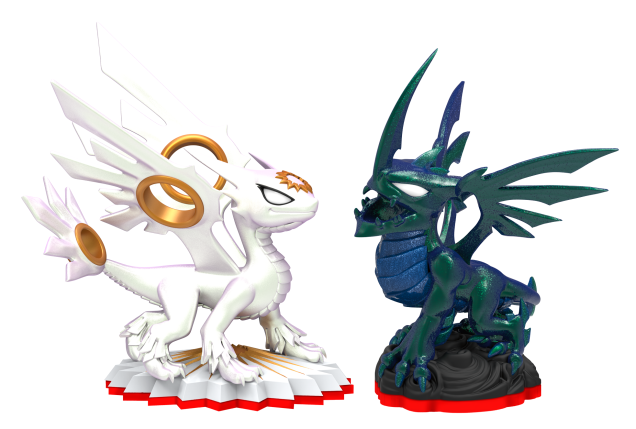 What do you think of the new additions to the Skylanders universe? Will you be adding them to your collection? Enjoy!